Nicknames: "Psycho Killer", "Blackheart", "The Sicilian Psychopath"
Tommaso Ciampa(real name Tommaso Whitney) was born on May 8th, 1985. He started his career off at 20 years old, wrestling for indies in the Massachusetts area, such as Chaotic Wrestling and Top Rope Promotions. Just 6 months after his debut, Ciampa made his first appearance for WWE. He played Thomas Whitney, lawyer for controversial superstar Muhammad Hassan. He read Hassan's rights before being attacked by The Undertaker. A month later, he had a dark match, teaming up with Kofi Kingston. In early 2007, he had signed a developmental contract with WWE. Due to an injury, he was forced to change his role to that of a manager, being known as Dr Thomas: Anger Management specialist. He would soon step back in the ring but was released from his WWE contract in August of that year. Ciampa returned to the independent scene after his WWE release, where he spent the next many years. Less than three and a half years later, he debuted for Ring Of Honor. Here, he crossed paths with future WWE superstars such as Adam Cole and Mike Bennett(Kanellis). Perhaps his biggest accomplishment in ROH came in Final Battle 2013, where he defeated Matt Taven to win the ROH World Television Championship. He was also managed by R.D Evans in ROH. He had a few extended periods out of action due to injury. One such case was during his match on ROH's 13th Anniversary show, where he suffered a torn ACL and completed the match anyway. Two weeks later, he announced his departure from Ring Of Honor. He made two pre-taped appearances for Impact Wrestling in 2015 and in 2016. Although he wasn't officially signed, he was paired up with Johnny Gargano for the inaugural Dusty Rhodes Tag Team Classic tournament. They went past the first round by defeating Tyler Breeze and Bull Dempsey. However, they were knocked out by eventual runners-up Baron Corbin and Rhyno. 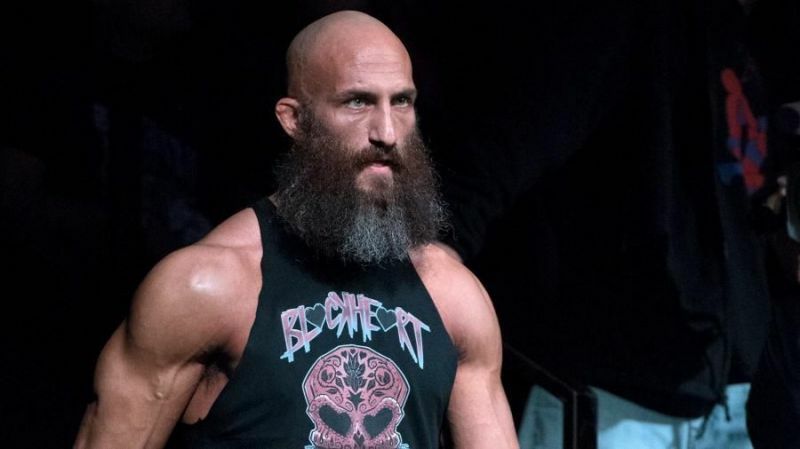 After a string of matches over the course of the next six months, Ciampa had been signed to a Tier-2 contract just like Johnny Gargano, meaning that they were allowed to work independent dates but also had to commit to the dates that WWE assigned them. It was in September of 2016 that both Ciampa and Gargano were announced to have signed exclusive-WWE contracts. After their Tier-2 contract signing in Apil 2016, Ciampa and Gargano began to team up together, officially labelling themselves "#DiY". Their first attempt at NXT Tag Team gold was at NXT Takeover: Brooklyn II, where they faced then-champions The Revival in an unsuccessful effort. The match at Brooklyn was received very well and considered to be the match of the night. However, as fate would have it, they weren't able to hold on to the titles for long, as they lost it at the next Takeover to Dusty Rhodes Tag Team Classic #2 winners Authors Of Pain, who were undefeated at the time. Their attempts at regaining the gold saw a Triple Threat match take place at NXT Takeover: Orlando on WrestleMania weekend, taking on The Revival and The Authors Of Pain, with the champions retaining. Their last shot at the tag title gold would be at NXT Takeover: Chicago over a month later in the main event, when they took on AoP in a ladder match. They were once again successful, but what happened after that sent shock waves throughout the WWE Universe. #DiY were given a standing ovation after their match despite the unsuccessful effort, and when walking to the back, it seemed as though #DiY were saying farewell, heading to the main roster. However, Ciampa turned heel and began to assault Gargano, sending him into the entrance screen and then continually attacking him. It was revealed soon after that Ciampa had suffered an ACL tear on his right knee and required surgery, so he was out of NXT television. While Gargano began to forge his path as a singles competitor, Ciampa underwent surgery and was on the sidelines until January of 2018. Gargano unsuccessfully challenged Andrade 'Cien' Almas for the NXT Championship at NXT Takeover: Philadelphia at Royal Rumble weekend. Despite the losing effort, the match was critically acclaimed, even gaining a 5-star rating by the Wrestling Observer Newsletter. Almas to pick up his fourth win over Johnny Wrestling. Gargano would get a slight measure of revenge when Ciampa finally broke his silence on NXT TV. Gargano, disguised under a luchador mask, stood with the fans and punched Ciampa's face.